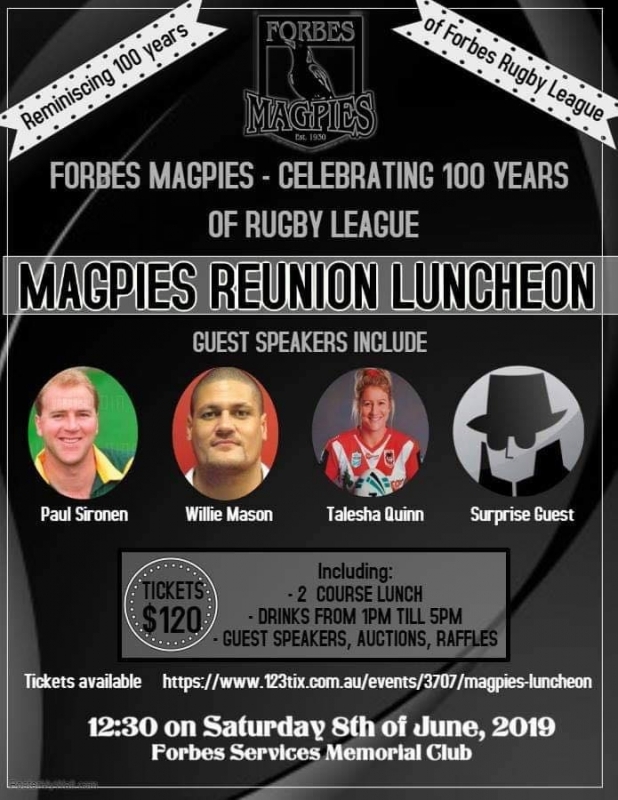 The Magpies are hosting a luncheon to be held at The Forbes Services Memorial Club. A 2 course meal, drinks from 1-5pm and guest speakers together with auctions and raffles will begin from 12pm till 6pm. Tickets are $120 per head.